SIGEL, Pa. (EYT) – The Animal Legal Defense Fund has filed a lawsuit against Farmers Inn in Sigel claiming the popular local attraction is maintaining animals in squalid conditions in violation of the Endangered Species Act (ESA) and state animal cruelty laws. 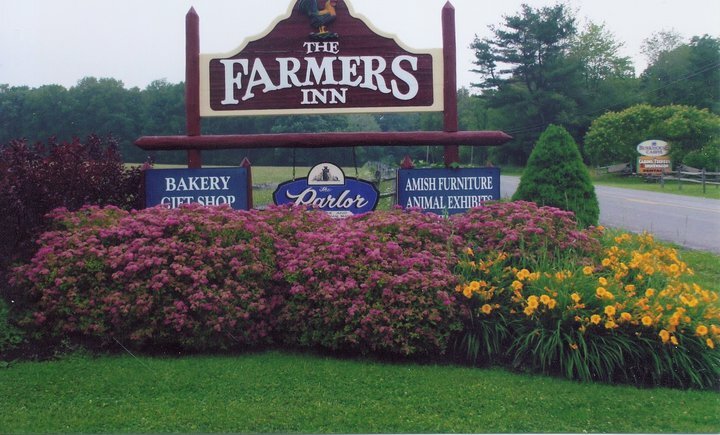 Farmers Inn is a popular local family attraction that offers a restaurant, store, golf driving range, furniture store, and other attractions. It also offers what the Animal Legal Defense Fund (ALDF) describes as a “roadside zoo,” and the advocacy group doesn’t like how it is operated. Parents and grandparents take their children to see the animals when it is open, and the animals are part of a tradition for families and visitors. Visitors reported seeing animals at Farmers Inn who are sick and injured, according to ALDF. For example, the bears — Jack and Jill — were allegedly seen in what appeared to be in heat distress on a day where the temperature exceeded 90 degrees. A kinkajou — a small rainforest mammal — was allegedly seen with an injured eye. An emaciated goat, significantly stressed guinea pigs, and foxes suffering from apparently untreated mange were also allegedly observed. The Farmers Inn is currently closed for its normal seasonal break, and requests for comments from the owner about the allegations were not immediately returned. In August 2018, the ALDF served Farmers Inn, a Pennsylvania roadside zoo, with a notice of intent to sue. The notice contends that Farmers Inn maintains endangered animals, including a ring-tailed lemur, black leopard, and gray wolves, as well as other wild animals in illegal conditions. The letter identified violations of the Endangered Species Act and state wildlife regulations. The letter to Farmers Inn offered to rehome all the animals to appropriate sanctuaries; however, the ALDF executive director said the group will proceed with the lawsuit if the alleged illegal conditions persisted. The Animal Legal Defense Fund is being provided with pro bono representation by K&L Gates LLP in this case.